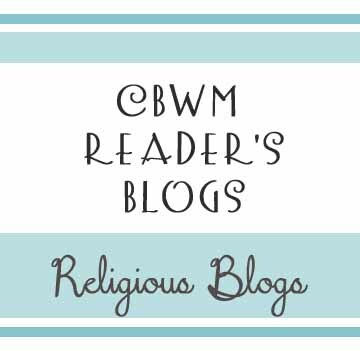 This is the place to share your religious blogs. Leave a comment with a link to your blog. You can also leave a short summary of what your blog is all about if desired. I will move your link and info up into the main body of this post. My blog is about training my two children in the Lord, including Bible lessons, funny short stories, and short devotions for moms! The blog is based on my book of the same title which will be released this fall. Hey! My blog is linked here. I do write about my family, but the underlying theme is the Lord, so I think this is the best place for it. I am amazed at the lessons God teaches me simply by raising and watching my son as he grows. These are just some of my observations and lessons learned. I call it a Glimpse of Heaven. My blog is about what I am learning as a missionary in El Salvador. I also include my ideas that help make our life excellent in a third world country, and little thoughts on motherhood. My website is called “Growing in His Glory” and it is a ministry I have started to help women “grow” to become the wives, mothers, and daughters of God we are called to be, giving all the glory to the Father. I’m a full time pastor and full time mom. I blog about the intersection between those two worlds at Reverend Mother. Hi everyone! I am a mother to a 14 month old boy and during his newborn days decided to start writing what God had been laying on my heart. I write about motherhood, wifehood and what it's like navigating those journeys with God as my Rock. I do write some mom tip and a few babywise articles every once an a while too! You can check out more about me and what I write at http://www.onlyaseason.comI am looking forward to meeting other writers lut there!